Pink Shades for the Win! If you haven’t noticed, Revival of the Fitness has made a few changes! I’ve updated my side bar and you can now follow me easily on twitter and pinterest! It’s time that Revival of the Fitness explores social media! I love connecting via twitter and have found great inspiration and motivation from my followers. I’m looking forward to connecting with the blog world via twitter and pinterest! This morning, I continued with 1/2 marathon training . The schedule called for 3 miles at race pace. My goal time is 2 hrs and 10 minutes which would put me at a little under 10 min per mile. Before setting off for my run today I set up my Map My Run app so that I would hear my stats as I ran. 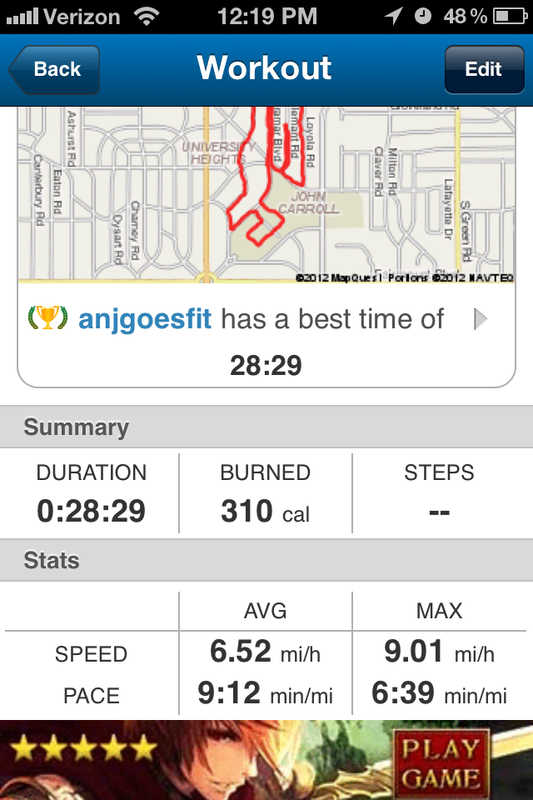 According to the app, I ran at a 9:12 min/mi pace! I couldn’t believe my results because to be honest, I felt horrible while running. I stopped twice for about 30 seconds each. The first stop was for water at a water fountain and the next was to walk and catch my breath. I was so happy when the 3 miles were over because I honestly don’t think I could have gone farther today. 1. Drink more water prior to running! 4. Remember to keep good runner’s form! I think these actions will help me feel better during my runs. Hopefully tomorrow I will feel more confident with my run! Although I didn’t quite feel great while running..I felt like an Olympian! That’s because I was sporting my new Oakley Commit Square Sun Glasses that Dave bought me as an early birthday present. Although my birthday isn’t until the 20th, I couldn’t wait to try them out! Pink shades for the win! I love these sunglasses! They have nose grips that prevent slippage while sweating and the polarized lenses are great for sun protection! 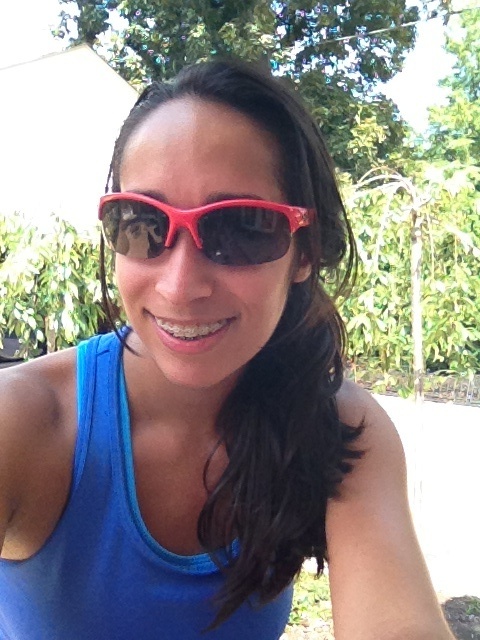 These glasses are definitely going to become a favorite running accessory (Thanks, Dave!). Well, I am exhausted my friends! I think an early bed time is in the cards for me so that I can get up and complete my run first thing in the morning!